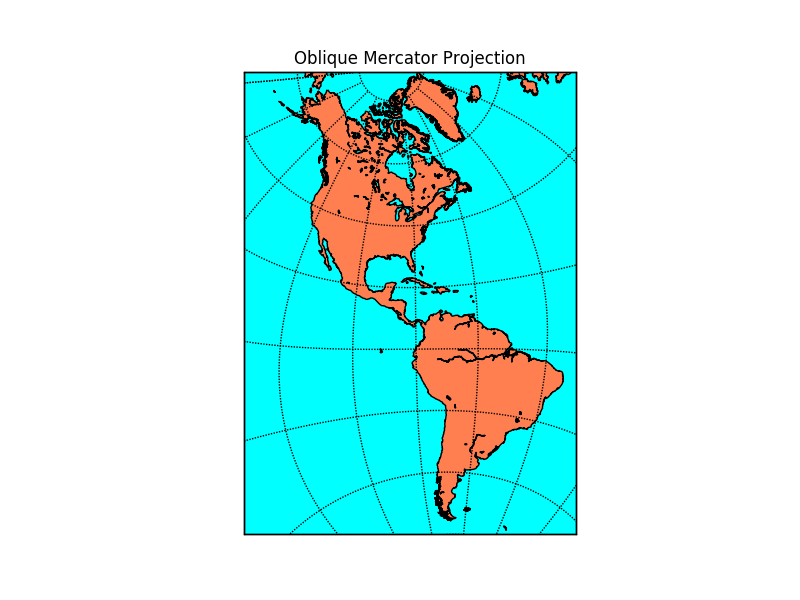 The oblique aspect of the mercator projection. The projection centerline, instead of being a latitude (as in the regular mercator projection) or a longitude (as in the transverse mercator projection) can be an arbitrary great circle (defined by specifying two points). # setup oblique mercator basemap. # Map projection coordinates are automatically rotated to true north. # To avoid this, set no_rot=True.